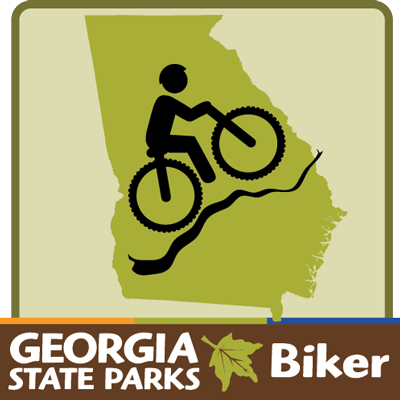 Check in at 6 out of 12 Georgia State Parks that allow mountain biking. Qualifying parks include Panola/Arabia Mountain, Magnolia Springs, Red Top Mountain, Victoria Bryant, Watson Mill Bridge, Fort Mountain, Fort Yargo, Mistletoe, Hard Labor, Tallulah Gorge, Unicoi, and Smithgall Woods. No one has earned this badge yet.